Liver cancer is the second leading cause of cancer death worldwide. Two forms of primary liver cancer cover the majority of cases: About 10 to 20 percent of those affected develop a bile duct carcinoma within the liver (intrahepatic cholangiocellular carcinoma; ICC), the far higher proportion of liver cancers are hepatocellular carcinomas (HCC). In recent years, in particular, the number of patients with the highly invasive intrahepatic cholangiocellular carcinomas increased noticeably, although both tumor types show overlaps regarding their risk factors. A team of researchers led by Prof. Lars Zender from the University Hospital Tübingen and German Cancer Consortium (DKTK) now elegantly demonstrated that the surrounding cellular environment with its dying liver cells determines the path taken by tumor cells. The results will be published in the prestigious journal Nature on September 12, 2018. What do the findings mean for clinical practice? "Future research will have to investigate whether the direct cell environment affects not only the type of tumor development but also the therapy," says Professor Lars Zender. In the treatment of HCC with chemoembolization, it has already been observed that a part of the original liver cancer can turn into a bile duct carcinoma. 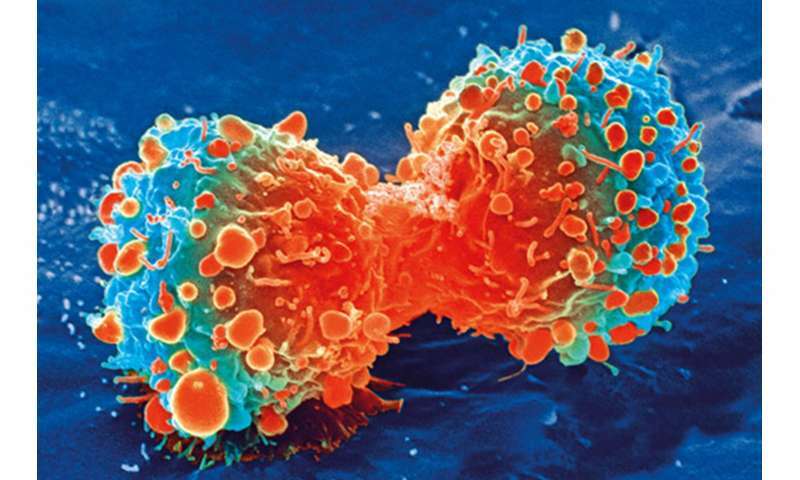 This could be a reason why the cancer no longer responds to the original therapy. "We may be on the trail of a therapy resistance mechanism for liver cancer," explains the renowned oncologist and "we hope that the findings will inform novel therapeutic options in the future."